GARDEN CITY, N.Y. (AP) – Move over Mantle and Mays. Make room for Mandela and Gorbachev. 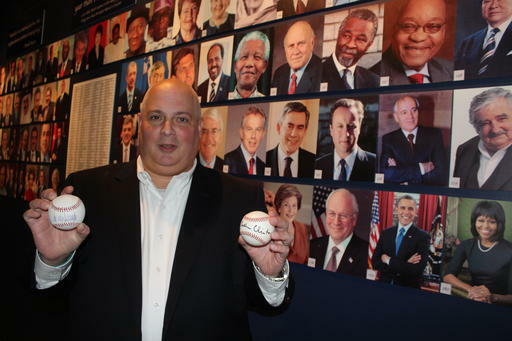 Randy Kaplan has spent the past two decades tracking down world leaders for their signatures on baseballs, a quirky melding of memorabilia and history that has resulted in an impressive collection of more than 200 autographs from presidents, prime ministers, two kings and the Dalai Lama. “It’s been a passion, a labor of love and an obsession,” says the 50-year-old Kaplan, a lifelong collector whose day job is in government affairs for a real estate trade group. It began almost as a fluke in 1996 when he positioned himself outside a speech and got then-President Bill Clinton to sign a ball. The next day, Republican Sen. Robert Dole appeared at the same event and signed a ball, and Kaplan was on his way. Through the years, he has collected balls from Israeli President Shimon Peres, Vicente Fox of Mexico, former British Prime Minister Margaret Thatcher and some leaders who had no clue what a baseball even was. One of his proudest moments came when Mikhail Gorbachev signed a ball during the former Soviet leader’s short U.S. book tour in the late 1990s. “He stands up, smiles, pushes the security guard away, takes the ball, sits down and signs it. 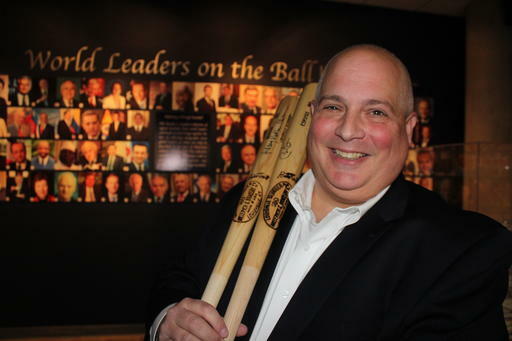 That was amazing,” says Kaplan, whose balls – along with bats signed by every living U.S. president – are on display through the presidential election (and the baseball playoffs) at Long Island’s Cradle of Aviation Museum. 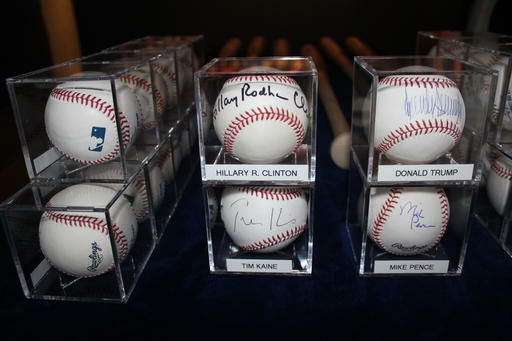 A timely feature of the exhibit: signed balls from Hillary Clinton and Donald Trump sharing a display case together. Kaplan declined to put a price tag on the collection, which he said reflected countless hours of work staking out world leaders on visits to the United Nations, at speeches and other public events. Other times, he networks with friends through his business, or writes to ambassadors asking for signed balls. Although Pope Francis has not signed a ball, Kaplan has acquired signatures from about 20 cardinals who may someday ascend to the papacy. He says he does his homework and has gotten signatures of a country’s lower-ranking political officials before they become president or prime minister. Still on his wish list: Former Cuban President Fidel Castro – a known baseball fanatic – Britain’s Prince Charles and Kaplan’s holy grail of signed balls, Russian President Vladimir Putin. “Toughest signature on the planet,” he says.